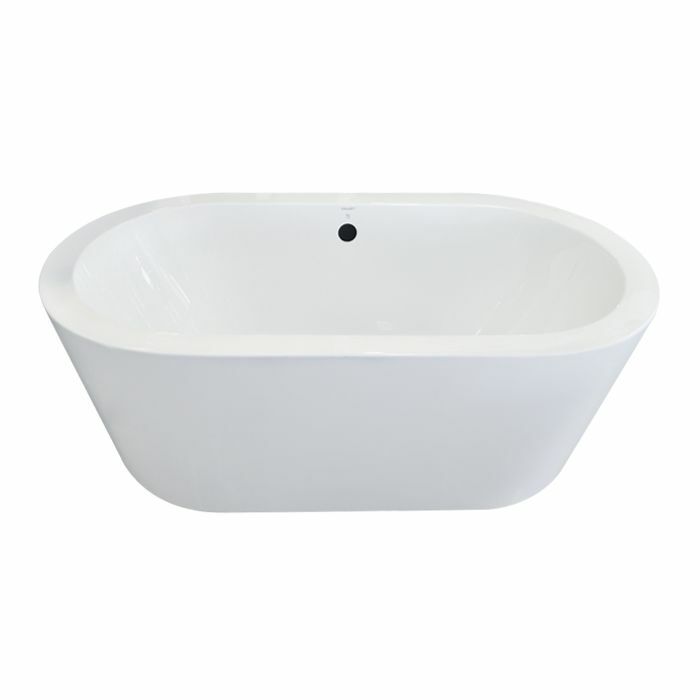 Vienna by Valley Acrylic features semi-circle reclining backrests accompanied by a centred tub drain and centre mounted overflow. Vienna's modern style is suitable to a wide range of bathroom decor, from affordable to luxurious. The bathtub is the centerpiece of your bathroom, and this freestanding tub with its contemporary, seamless design is guaranteed to make a statement. Its elevated aesthetic is paired with modern convenience: the pure white acrylic construction is easy to clean and cUPC certified. Overflow drain is included. Upgrade your bathroom. The contemporary design of this freestanding tub has classic appeal and timeless style. Symmetrical backrests allow for versatile placement and the pure white acrylic construction is easy to clean - no need to sacrifice practicality for elegance. Comes with a sleek deck-mounted faucet and handheld shower. Overflow drain is included. Vienna Rectangular Freestanding Non Whirlpool Bathtub in White Vienna by Valley Acrylic features semi-circle reclining backrests accompanied by a centred tub drain and centre mounted overflow. Vienna's modern style is suitable to a wide range of bathroom decor, from affordable to luxurious.